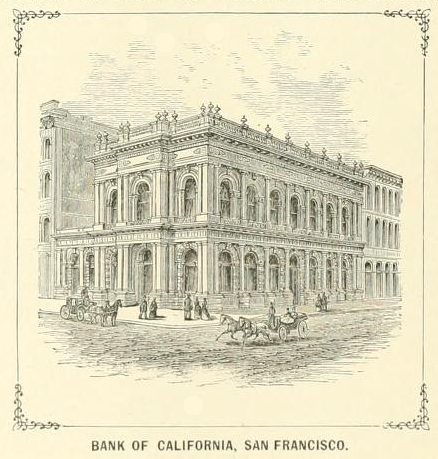 Vintage drawing of the Bank of California building in San Francisco, circa 1875. Public domain building image of what was once the second-richest bank in the nation and the first commercial bank in the Western United States. There are over 200 wonderful, vintage illustrations on Reusable Art that were included in Hill’s Album of Biography and Art. We have the author, Thomas E. Hill, for publishing such a wonderful resource in 1882.